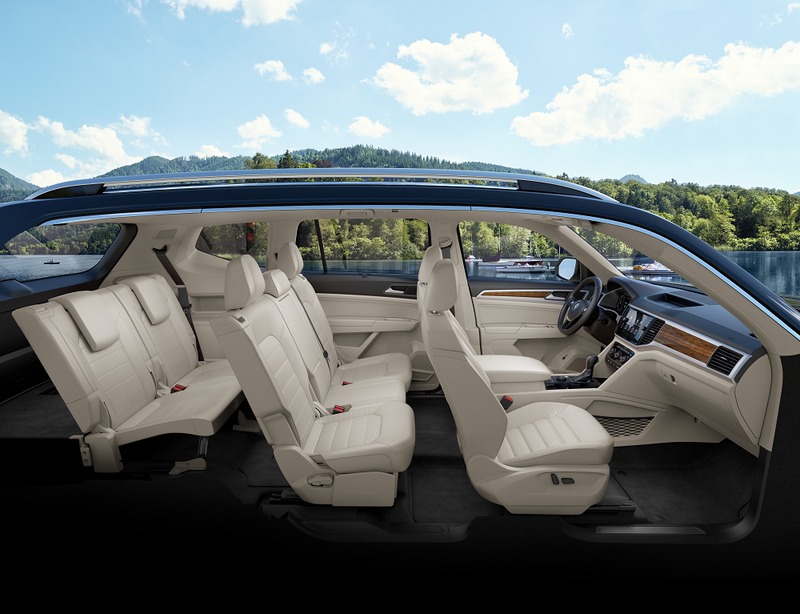 The Volkswagen Atlas is known for many positive traits, including its family-friendly interior with an expansive interior space, luxurious comfort features, and top-notch technology. However, this model also goes above and beyond when it comes to performance and capability. In this towing capacity review, the Metro Volkswagen team will introduce you to the towing capacity of the 2019 Volkswagen Atlas. You’ll learn all about what you’ll be able to pull in this incredible midsize SUV. Shoppers in the areas of Irving, Grand Prairie, Grapevine, and Dallas should read ahead to learn more! As you can see, you’ll be able to tow whatever you need to tow with the Volkswagen Atlas as long as you have the right towing apparatuses for the job. 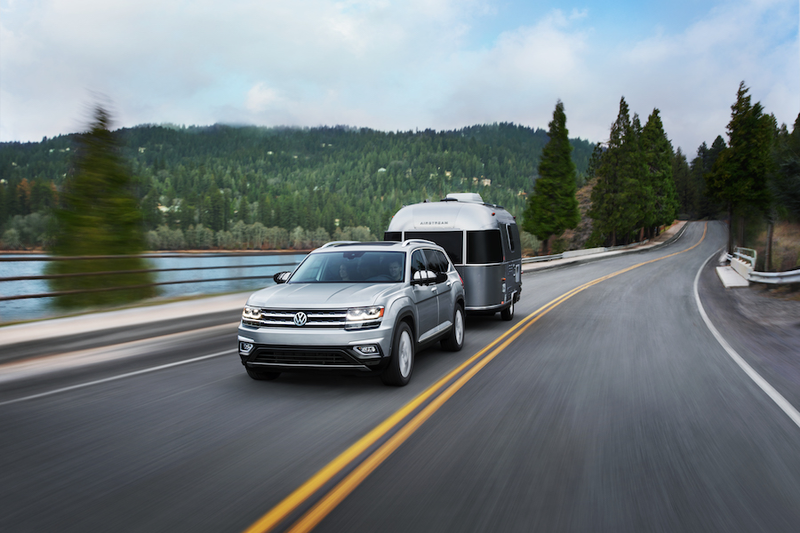 You can count on the Volkswagen Atlas to bring the power if you bring the necessary towing equipment. On top of all the cargo you’ll be able to tow with the 2019 Volkswagen Atlas, you’ll also be able to pack in plenty of extra cargo inside the VW Atlas. This model sports three rows of seats, two of which can be folded in several different ways to accommodate your cargo needs. Fold one or two seats down to get the perfect passenger-to-cargo ratio. Also, you can opt to put all of the rear five seats down, which will give you access to a whopping 96.8 total cubic feet of cargo space to take advantage of. With this kind of cargo space, you’ll be able to pack and haul all kinds of belongings inside the VW Atlas. If your not-so-little one is heading off to college, you can easily pack the Volkswagen Atlas with boxes and suitcases of all sizes. You can load up with camping supplies for your long weekend away. Experience the 2019 VW Atlas Today! As you can see, the 2019 Volkswagen Atlas is the perfect SUV for shoppers who need a vehicle that’s equal parts capable, comfortable, and versatile. 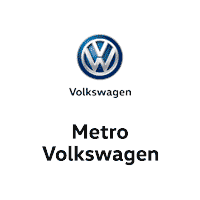 Still, don’t take our word for it: get behind the wheel and get the full experience for yourself at Metro Volkswagen. Shoppers in the areas of Irving, Grand Prairie, Grapevine, and Dallas can schedule a test drive in the 2019 Volkswagen Atlas today by giving us a call at the dealership!